Our 2019 Parish Mission of 40 Hours of Adoration was another success! 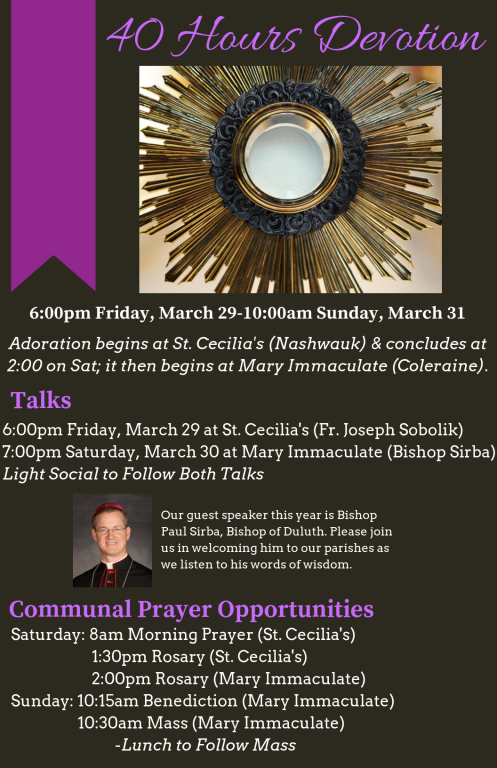 This year's speakers were Bishop Paul Sirba of Duluth and Fr. Joseph Sobolik, our pastor. To hear the talks, click on the following links. Last year's poster and talks are available below. Our 2018 Parish Mission of 40 Hours of Adoration was a wonderful way to continue on our Lenten journey towards Easter. Thank you to all who participated in Eucharistic Adoration, Fr. 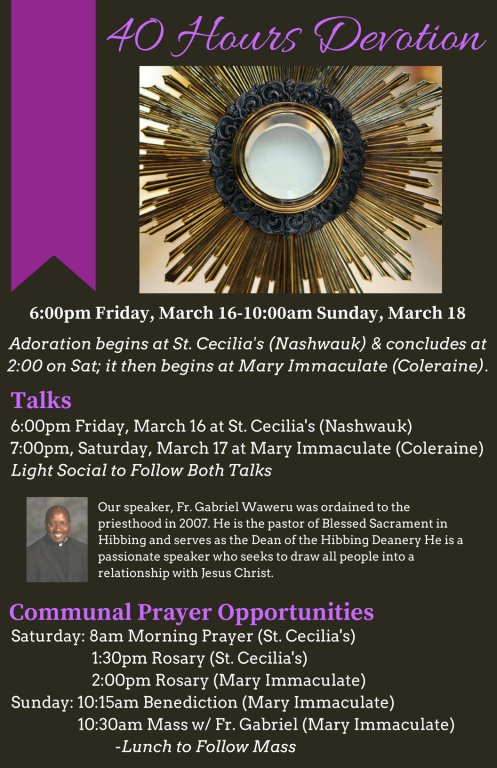 Gabriel's talks, the praying of the Holy Rosary, and our meals and receptions.